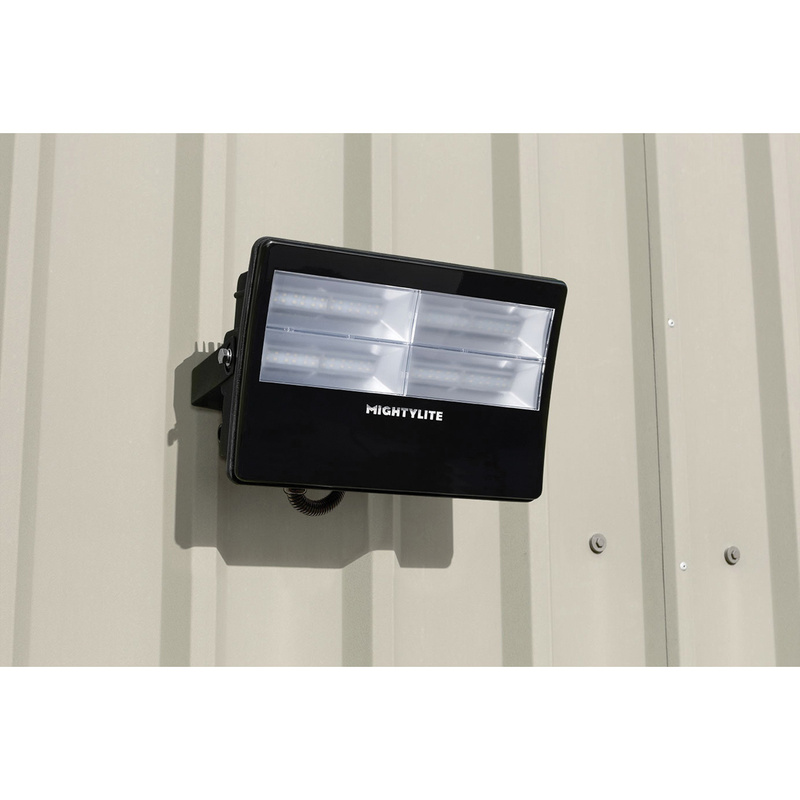 Mightylite Power House Collection 120-Watt High-powered LED flood light in black color, features die-cast aluminum body with frosted lens. This U bracket/pipe bracket mountable light in rectangular shape, uses 96 Epistar LED lamps that have voltage rating of 110-Volt AC. Lamp in the light has 5400K color temperature rating, less than 80% efficiency and offers 12000-Lumens of bright light output. It measures 8.4-Inch x 12.6-Inch x 3.9-Inch. The new frosted lens of this light helps to achieve optimal light level in the surrounding. It incorporates unique quad core driver for ensuring superior lighting performance from all light units. This IPX6 rated light withstands temperature range of -40 to 176 deg F. Flood light is CE certified, ERP/RoHS compliant and LVD approved.